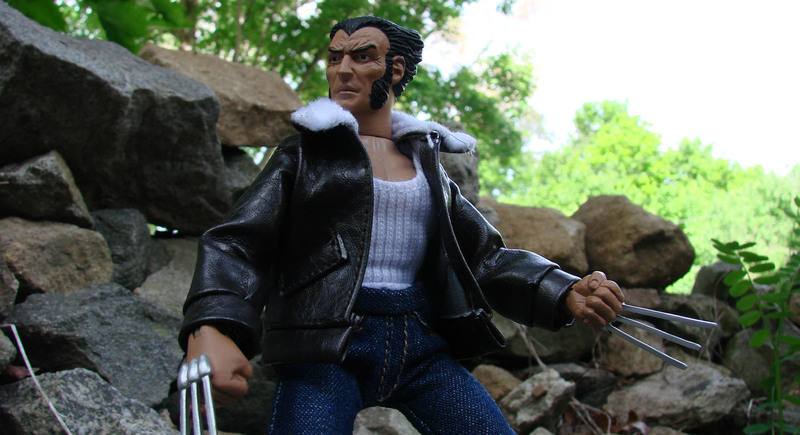 The Marvel Retro line continues! 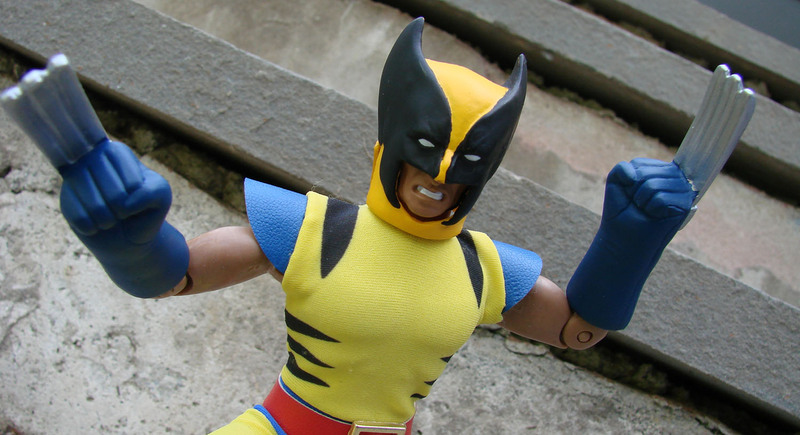 So far, Diamond Select Toys and EMCE Toys have resurrected the classic Mego figures of Spider-Man and Captain America, neither of which have been produced since the early 1980s. 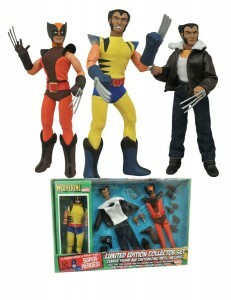 Now, those two legendary toys are joined by a Mego-style figure that has never ever been made! 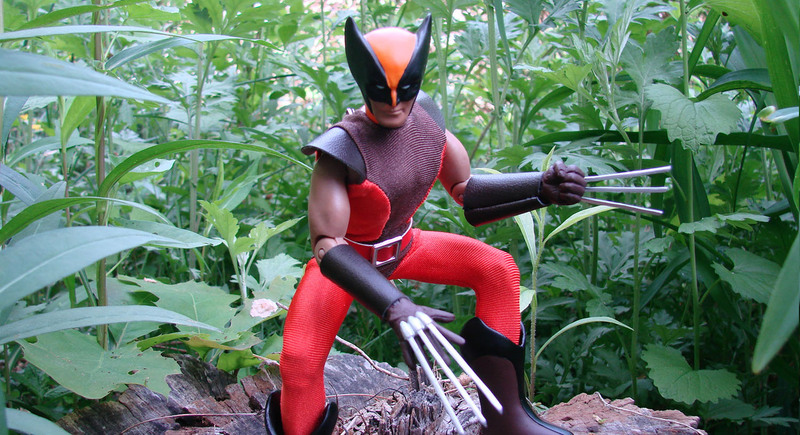 Retro Wolverine is in stores now, and it marks Wolverine’s first appearance in the 8-inch scale! 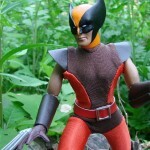 Despite making his debut in 1974, and gaining popularity after joining the X-Men in 1975, Wolverine didn’t get an action figure until 1984, after Mego closed its doors. 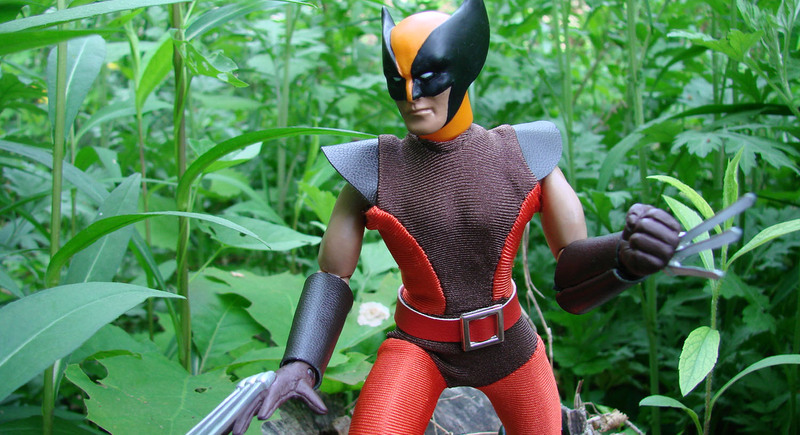 So in order to re-create what an 8-inch, cloth-costume Mego action figure of the mutant would look like, EMCE and DST looked at other toys of that era, and created their own! 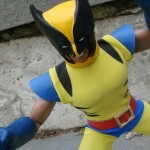 The 1970s-style Wolverine action figure wears his classic blue-and-yellow costume, which is fully removable, including a removable mask. 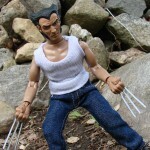 Once you take off that costume, you can dress him up in his brown costume or his civilian togs! 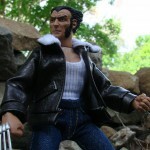 Wolverine’s Logan accessories include a bomber jacket, jeans, tank-top, boots, clawed hands and a unique unmasked head sculpt. 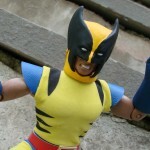 Wolverine’s brown costume comes with a sculpted masked head and open and closed claw hands. 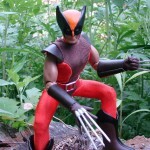 The set includes a vintage-style window box for the classic Wolverine figure, as well as a booklet about the history of Wolverine in comics and toys, all packaged in a displayable gift tray. 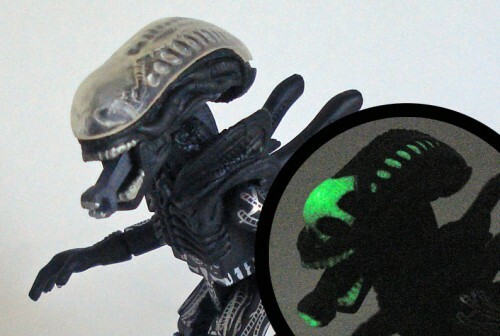 Each box set is limited to 3,000 pieces, and you can order today through your local comic shop, your favorite online retailer or diamondselecttoys.com. 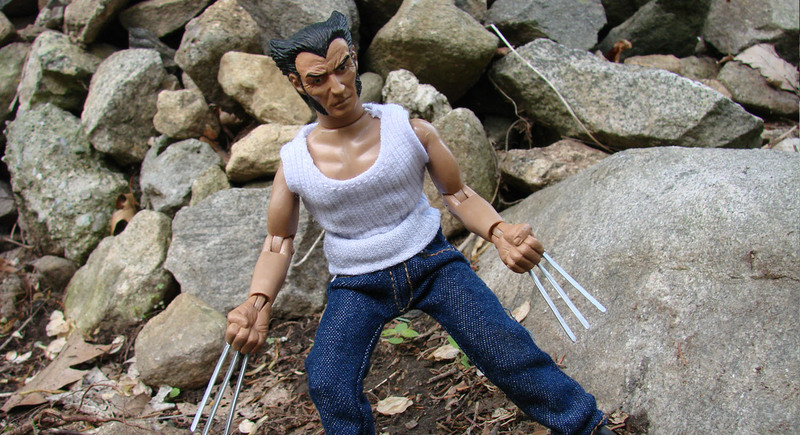 The next figure to be released will be Thor, with Donald Blake and Modern Thor alternate looks. 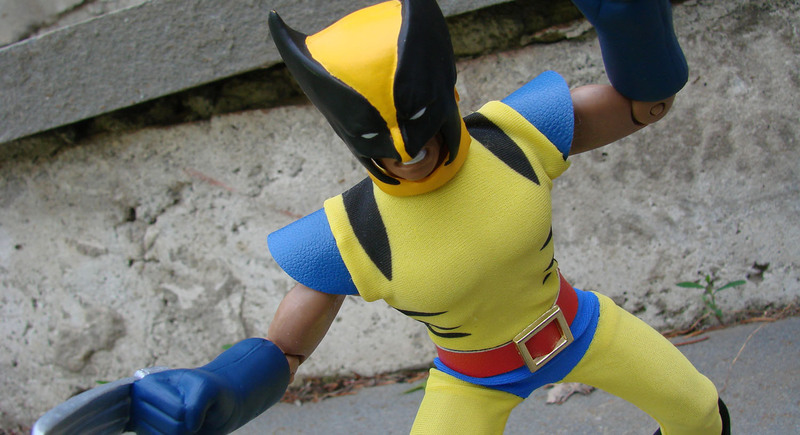 Wolverine is only the first all-new character planned for the line — look for a new figure to be unveiled at Comic-Con International in San Diego!